One of the most fundamental adjustments is that the collection is moving out of the recently renovated building of the Museum of Fine Arts, which now serves as the home of art from antiquity until the year 1800. In 2019, as the first of many steps in a process expected to last several years, around 2300 works of international art from the nineteenth and twentieth centuries, as well as contemporary pieces, will be transferred to the National Museum Restoration and Storage Centre, a new facility constructed as part of the Liget Budapest Project. 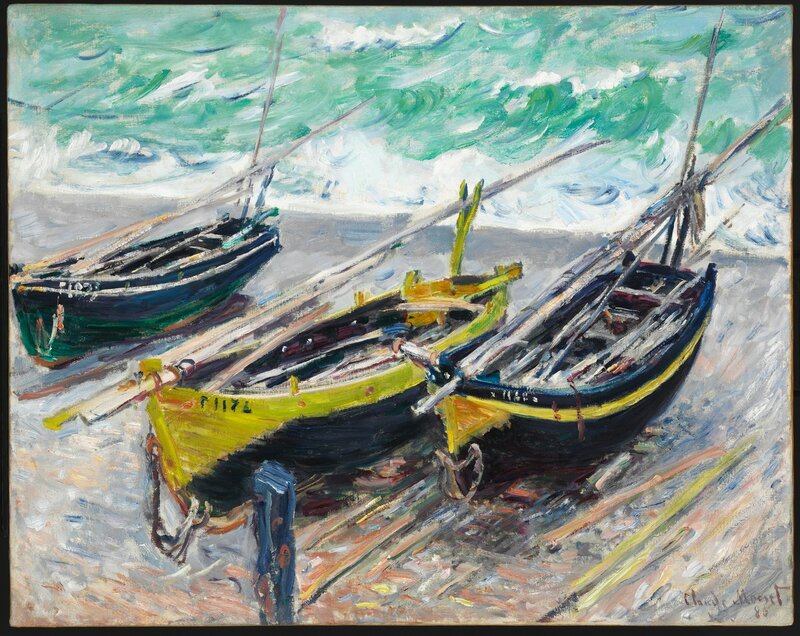 Eventually, these international works will join up with Hungarian art from the same period (presently housed in the Hungarian National Gallery), and will eventually go on permanent display in the New National Gallery, which is expected to open in 2022. In the meantime, our temporary exhibition ensures that some of the finest pieces in the collection can still be enjoyed by the public. When deciding which works to display, it was important for us not only to include the best-loved pieces from the last two hundred years or so, but also to treat our visitors to a few novelties. Our recent acquisitions, newly restored works, and some rarely seen items all showcase the rich variety of our collection, and demonstrate the dynamism in our activities. The exhibition consists of two distinct chronological units, owing to the fact that the task of collecting international modern and contemporary art was interrupted several times in the history of the Museum of Fine Arts; the twin focus of the exhibition also reveals some substantial gaps that occurred during the twentieth century. The nineteenth-century rooms encompass art from late romanticism through to symbolism. 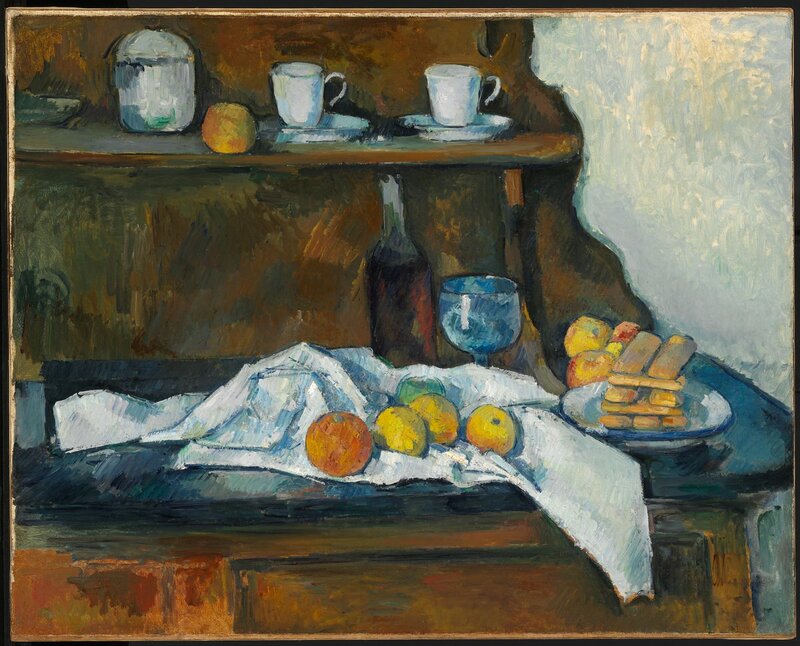 Paintings by some of the greatest exponents of the French impressionist era – Paul Cézanne, Camille Pissarro, Claude Monet – can be seen alongside works by Austrian, German, Belgian, and Scandinavian artists (Franz von Lenbach, Wilhelm Leibl, Constantin Meunier, Akseli Gallen-Kallela), building up a complex and nuanced overview of the European art of the period. 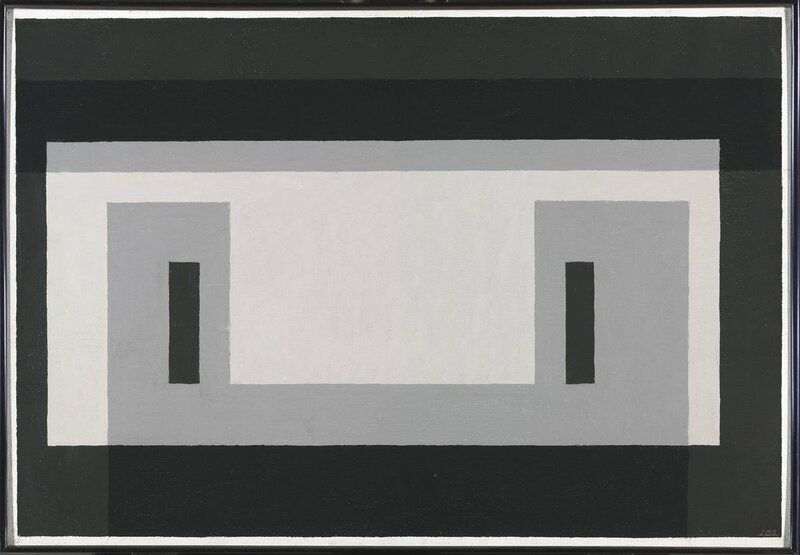 The twentieth-century and contemporary sections are organised around a variety of trends and artistic problems: some of the most important movements in modern international art (kinetic Art, op art, geometric abstraction) are represented with pieces by such major artists as Günther Uecker, Victor Vasarely, Josef Albers, and Peter Halley. We have also placed particular emphasis on acquisitions made in the last few years by including works of Michelangelo Pistoletto, Erwin Wurm, Antoni Tàpies, Eduardo Chillida, Vera Molnar, and Simon Hantaï, which illustrate the main directions in which the collection is expanding and developing. Between these two units, functioning both as a physical divider and as a spiritual link, we have located a separate cabinet, which will play host to different dossier exhibitions every six months, examining various aspects of the collection, as well as the connections between “old and new” art. 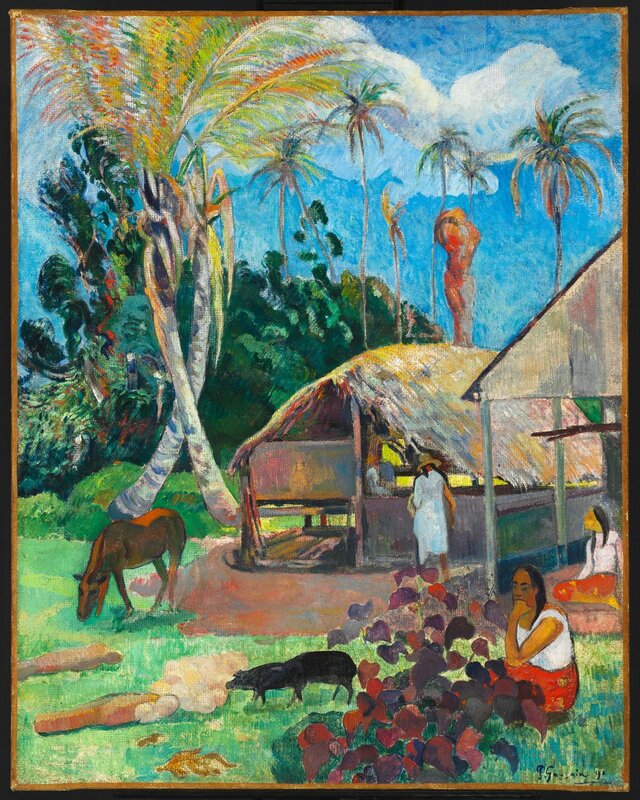 While pursuing his successful career as a broker, Gauguin only painted as a hobby, although he exhibited his early paintings at the shows held by the impressionist group. In 1883 he gave up his former job for good in order to dedicate his life to art. He sought respite from the burden of family commitments and the futility of Western civilisation by settling first in Pont-Aven, in Bretagne, and then crossing the ocean to the island of Martinique. In 1891 he travelled to Tahiti, and in the same year he painted the picture titled The Black Pigs. Among the three paintings by Monet in the Budapest collection, Plum Trees in Blossom is the one that most completely bears the distinctive hallmarks of impressionism. His beloved wife fell ill at the end of a very long and cold winter, but when spring arrived in full flower, Monet was still able to work in relative serenity. 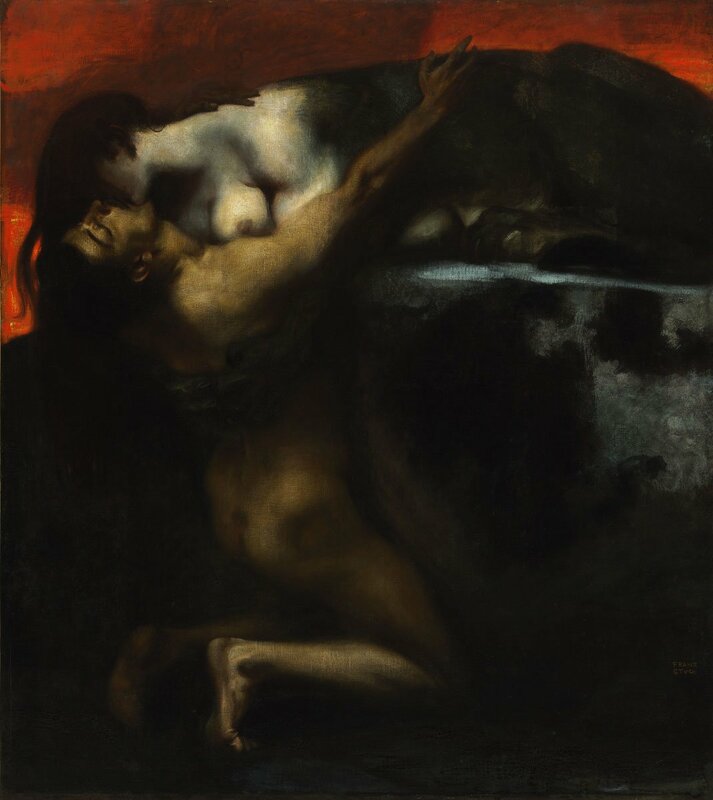 In summer 2016, the heirs of Simon Hantaï fulfilled the artist’s spoken wish for eight of his paintings to join the Department of Art after 1800 at the Museum of Fine Arts, Budapest. The paintings spanned the period between the early 1950s and the mid-1990s. Hantaï had chosen the works himself, in order to ensure that audiences in Hungary would have access to a representative selection of his trademark pliage technique. The museum had already purchased one of Hantaï’s paintings from a Parisian art dealer, an early masterpiece produced between 1951 and 1953, when the artist was still closely linked to surrealism.